My current favorite color in nail polish is mint! 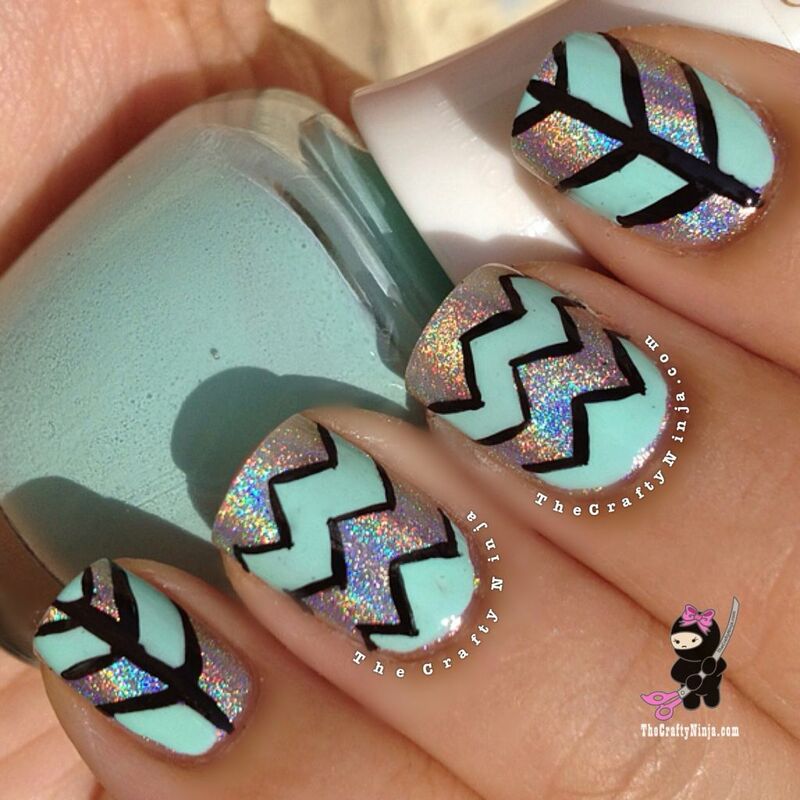 I’m also obsessed with holographic polishes especially Color Club Harp On It. I love the shine and sparkle it creates on my nails, so magical. Here is a tutorial I creatd using craft scissors t create the chevron design. 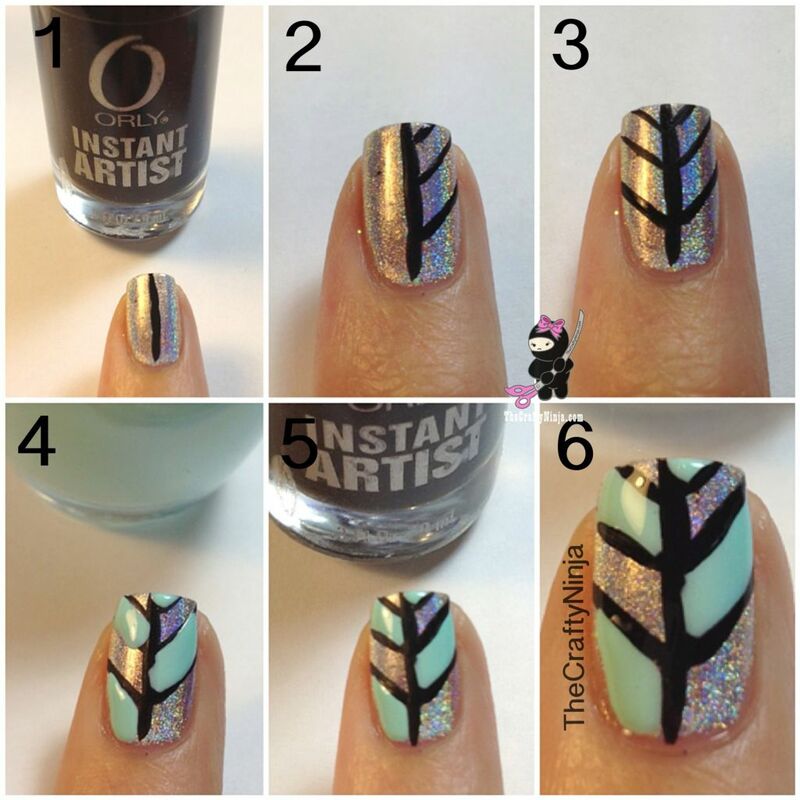 Check out the list of supplies below and my video to create this trendy nail design. Supplies: The Face Shop Green, Color Club Harp On It, Orly Instant Artist, Scotch Tape, Craft Scissors Set– Zig Zag, and Seche Vite.